A reliable spacious four door Honda Civic. Well I live by the shore, two blocks away from the ocean and one black away from the marsh national environment for wild animals. And when it floods over here the salt water will flood the streets so being forced to drive through it my breaks are now a little rusted. I am going to replace them soon but besides that my care is pretty comfortable. It does not pick up speed as fast as I would like it to be it is also not on the newer side. It gets me from point A to point B. I have always liked Civics because I like small cars. It is a four door so I am able to easily take my boyfriend's child's car seat in and out. The trunk is pretty spacious so we have all of his presents in there for his birthday coming up. I really have no complaints about my Civic, its my first car and has a decent amount of miles on it. I have always heard a Civic will be reliable for a long period of time and that is all I really care about honesty. It performs and runs great for how old it is, very reliable. 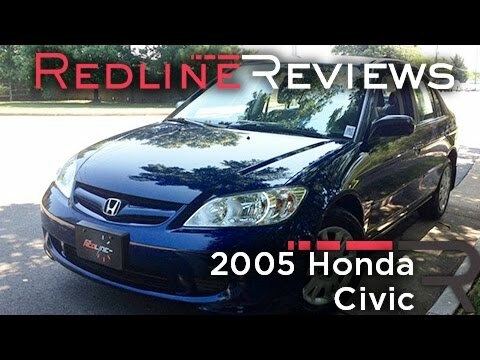 I am a young university student and my 2005 Honda Civic does what it needs to do. The car is old more than 10 years old but is still running smoothly, it is got over 150, 000 milestone on it and is still pushing. It is very comfortable and spacious, at least it is for me. I bought the car used and it is still reliable. My only complain about the car is that the back windshield does not have windshield wipers. I would recommend buying this car if you are on a budget and do not want to worry about future unexpected issues because this car performs great. As of late though I notice that when I turn on my ac in the car the ac unit creates a high pitched noise, it goes away after a minute or two but it gets annoying sometimes, that may only be for my car though because my friend has he same car and his has never done that. Best features are the Bluetooth radio and good gas mileage. For the most part my car is very reliable, I have not had any severe problems with it. It is great on the road it drives smooth, there’s no shaking or unexplainable noises. It is a coupe which is my favorite part because it is small comfortable. The radio works well it has Bluetooth so as soon as I get in my car I connect my phone and play my favorite music. It is also great on gas!! It takes about $20 to fill up my tank and it lasts me a week or longer depending on my schedule. One problem I have encountered is with my air conditioner, it does not blow as cold as it needs to, it runs out of Freon fast. Other than that one problem I love my car, I am confident that it will get my from point A to point B with no problem.